Barben specialise in the manufacture of custom timber cabinet knobs and hooks and have the ability to supply all of our stainless steel cabinet hardware (including the new BAC-173 pictured) in electroplate and powder coat finishes. The Bobrick InstaDry™ Surface Mounted Hand Dryer offers exceptional energy efficiency, best-in-class 200-watt output and a dry time of less than 12 seconds. 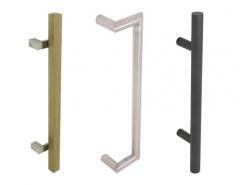 Whether you are looking for a contemporary or classic handle design Barben have a wide variety of designs that will compliment any architectural space. Available in various lengths the Barben collection can be powder coated and electroplated to suit your specific project requirements. 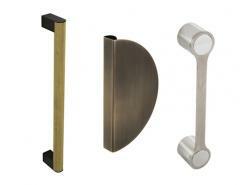 From custom timber/stainless robe hook designs Barben Architectural Hardware offer the largest range of bathroom accessories ensuring we have the products that will enhance your bathroom space. Barben Architectural Hardware has taken powder coating to new levels with the introduction of metallic like powder coat finishes. Not only are these finishes strikingly similar to their more expensive electroplate alternatives they are also extremely hard wearing. Barben’s ability to be able to offer the full compliment of handles, bathroom accessories and tapware in one uniform finish allows our clients to create a stylish flowing finish from one space to the next. Our unique manufacturing techniques allow us to supply our clients with our full range of entry door handles in unique electroplated finishes. 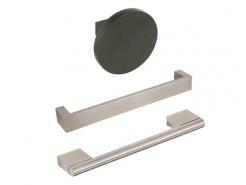 If you are looking to make a statement with your door hardware we have a solution. In addition to our standard stainless steel lip pull collections we promote design freedom with electroplate and powder coat options also available. 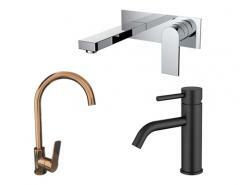 Barben’s unique electroplate finishes bring our stainless steel and brass products to life with stunning Urban Brass, Urban Grey, Copper, Satin Black Nickel, Rose Gold and Satin Brass finishes. 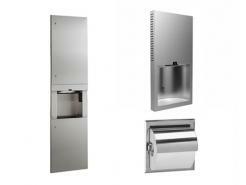 Electroplate bathroom accessories add a whole new dimension to your bathroom space. 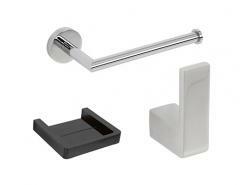 The Axis and Linea toilet roll holders pictured are sophisticated elegance at its finest. Using only the finest quality re-cycled Australian hardwood timbers allows Barben to produce the finest quality timber entry door handles available. 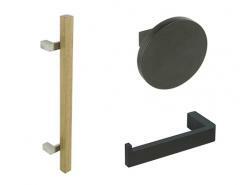 Unique in both finish and design we can also custom manufacture to suit your specific requirements. Our new range of electroplated finishes feature not only aesthetic appeal but offer unmatched durability. Watch our video as we put the resistant coating to the test.